I am back in Alter do Chão from our trip to the Tapajós. It is amazing how we take so much for granted such as sleeping on a flat comfortable bed, having a real bathroom with a working toilet, and eating with forks and knives instead of a spoon only. I did not miss these casualties, and in fact i enjoyed living as many people of the Tapajos live. 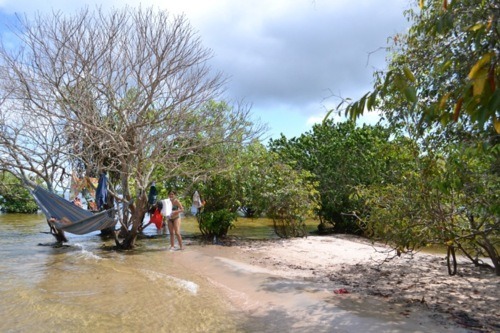 We go back to the same favorite spot in the Ilha do Amor (Love Island) everyday we are here. It is a perfect spot. 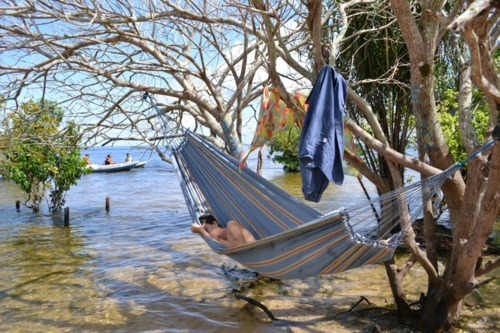 Between playing in the water and exploring the thin stretch of sandbar, and especially today since I feel a bit under the weather, I nap on the hammock. read this article i thbought i could also create comment ddue to this brilliant paragraph.